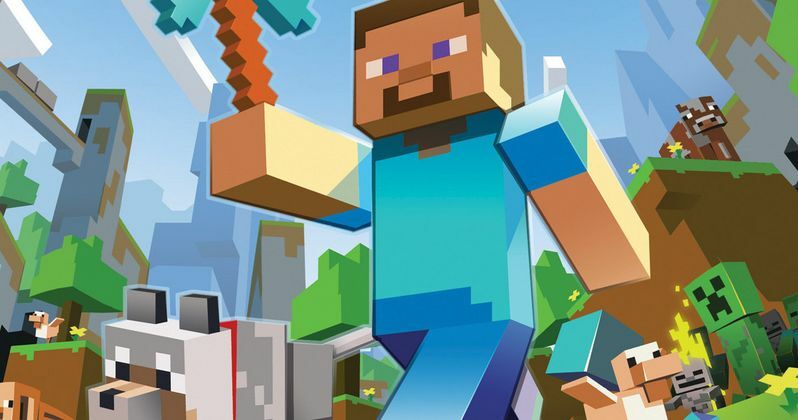 Earlier this week, we reported that director Shawn Levy and writers Kieran Mulroney and Michele Mulroney have parted ways with Warner Bros.' video game adaptation Minecraft, because video game publisher Mojang didn't spark to their take on the property. While promoting his new sequel Night at the Museum: Secret of the Tomb, arriving in theaters December 19, Shawn Levy offered more details about his exit in an interview with the Wall Street Journal. Here's what he had to say, confirming that his story didn't sit quite well with Mojang. "What happened simply is, Warners asked me to develop kind of how might this ever be a story for a movie, because it's not a narrative game. We came up with an approach that felt good to us and I discussed it with Mojang, the game makers who make Minecraft, and they were like, that doesn't sound like what we want if we're gonna see a movie get made. We don't know what we want, but that doesn't feel right. And I said okay, well that feels like - that's a movie I can envision. So, I'm not sure what happens next, but I've got four other movies that I'm considering for next year and it felt like, OK, I took a shot there, it wasn't a right fit, narratively, and now I have to focus on the other ones. When asked if his take was funny or dramatic, Shawn Levy revealed it was an adventure movie in the same vein as The Goonies, although he wouldn't offer any specific plot details. "It was not a comedy. It had a bit of a Goonies flair. I'm not even allowed to speak about it, as much as I have, but it was an adventure movie. I thought it could have been a lot of fun and fulfilled a lot of the qualities people love about the game. But you know what it's not my game, they know what they're doing. And the truth is there is a long history of trying to make great movies out of games, and they're rarely done well. I think Mojang is still figuring out what they want. We gave it a shot and it wasn't the right fit, and so these things happen." With Shawn Levy and writers Kieran Mulroney and Michele Mulroney now off the project, it remains to be seen who Warner Bros. will find to replace them. It also isn't clear what Shawn Levy will make next, since he is attached to Forty Thieves, The City That Sailed and Fantastic Voyage at Fox, along with a number of other projects. Who would you like to see take the helm on Minecraft? Chime in with your thoughts below.